Can you believe it's Wednesday already? 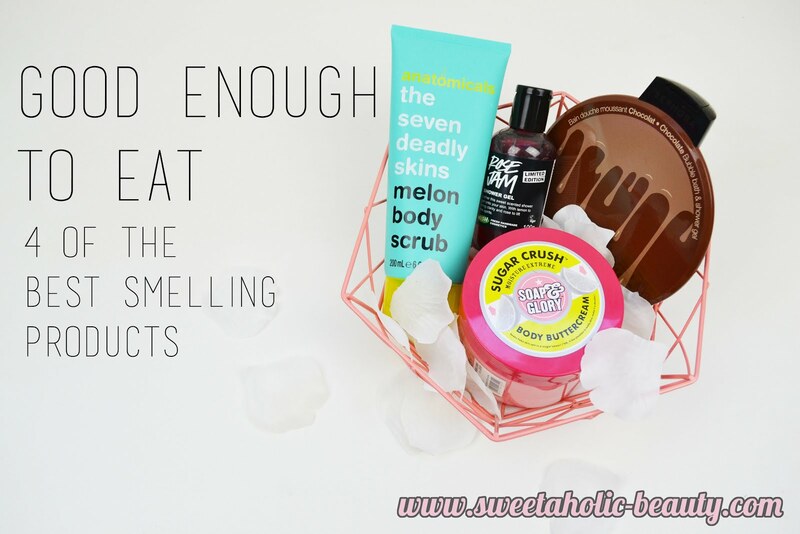 I wanted to do something a bit fun, so I decided to share a few of my favourite delicious smelling products. Warning - do not eat these products! I could have shared fifty products on this subject but that would have been far too overwhelming. Instead, I selected four products which I could sniff all day and decided to just share these. For now. 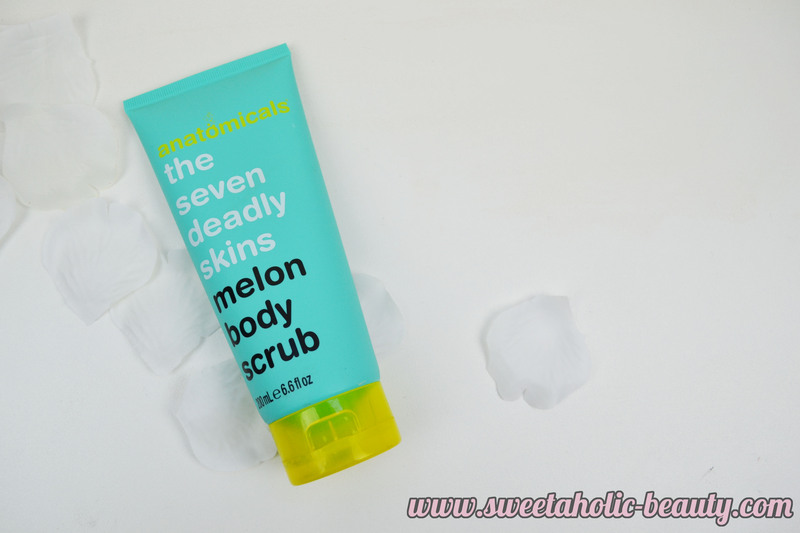 One of my all time favourite delicious products that smell good enough to eat is the Anatomicals The Seven Deadly Skins Melon Body Scrub. This stuff legitimately smells like watermelon Chuppa Chups and I just can't get enough of it. I would be using this tube every day if it wasn't for me not wanting to finish it off. I have too many other scrubs to use up before I'm allowed to buy more so I would be without this delicious candy melon scent for a long time. Let's be honest, this really wouldn't be an article about yummy smelling products without the mere mention of a Lush product. 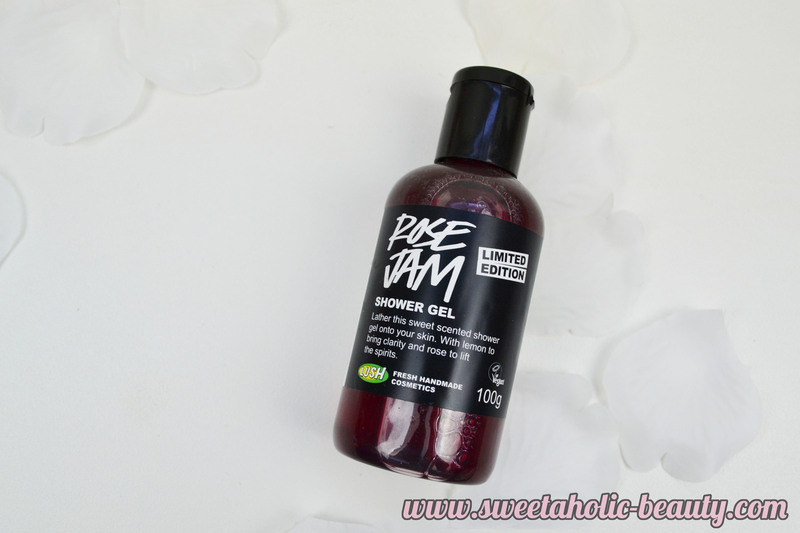 I found it very hard to decide on just one, but I narrowed it down to one of my favourite body washes; Lush Rose Jam. Smelling like sweet lemon and rose, I feel like it would taste like something you would find at high tea. This body butter gives me serious nostalgia. 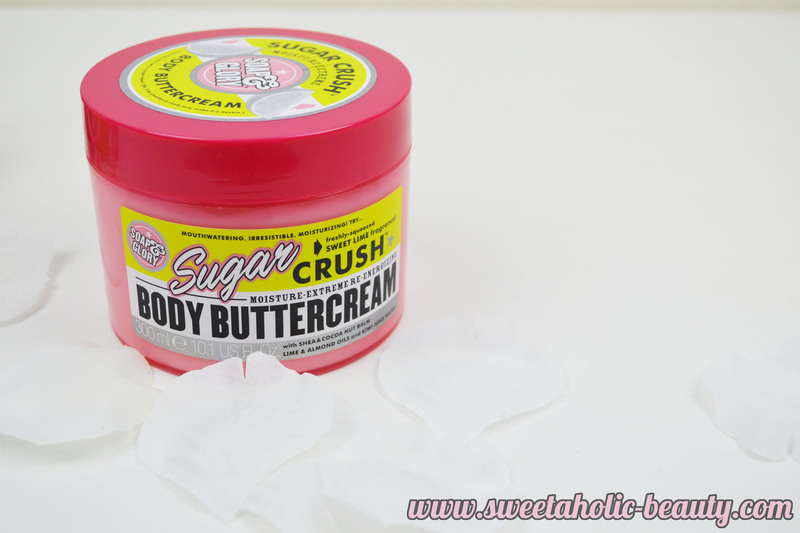 The Soap & Glory Sugar Crush Body Buttercream smells exactly like Splice Ice Creams. Upon my first sniff, I practically had to fight the urge to take a taste. I can't even explain how good this smells. If you're a fan of the Splice Ice Creams then go out and buy this - now! Sephora has recently opened in Melbourne, yet despite that I picked up a few goodies whilst in Sydney a few months ago. I couldn't resist the Sephora Bubble Bath and Shower Gel in Chocolate. If you can make your product smell like chocolate, I promise I'll buy it. I'm a complete chocoholic and this stuff smells delicious. As I mentioned earlier there are an endless amount of amazing smelling products. I wish I could share them all, but we might all get too hungry sitting here thinking about delicious scents. Do you have a favourite smelling product? If so, what is it? Have you tried any of the above products? If so, what did you think? I haven't tried the Sephora shower gel and Lush Rose Jam but the other two I LOVE - Sugar Crush in particular is my absolute favourite scent ever! Not going to lie - I can't escape purchases from Lush as the smell always draws me into the store! I haven't tried the Soap and Glory Buttercream but I have Hand Maid and I love the smell of that! 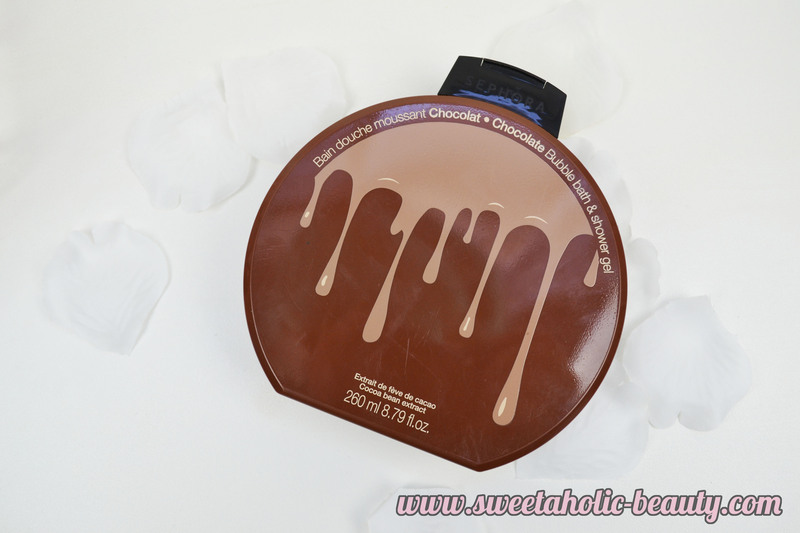 I've smelt Sephora's choco bubble bath, it is absolutely divine! definitely good enough to eat. I also have to add lush's lip scrub in popcorn! My Bite Beauty lip pencil smells pretty good, as does the Kat Von D Studded Kiss lipstick! I've had a chocolate scented body wash before and it was amazing. I love anything from Lush! Though the rose jam is one of our favourites! Have you tried the foam cleanser with the purple cap from Clean & Clear/Neutrogena? It smells like popcorn! I agree with Beth - the Bite Beauty lipsticks/lip pencils smell good enough to eat, but my favourite is their Agave Lip Mask. I have to resist the urge to lick it when I apply it at night, it's so yummy!